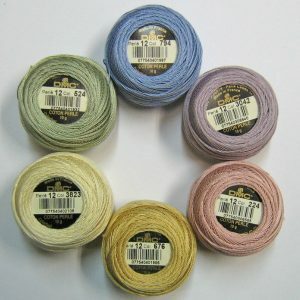 Cotton Perle size 12 quality crochet/embroidery thread by DMC, 10 g balls. The size 12 is a fine thread and only available in small range of colours. 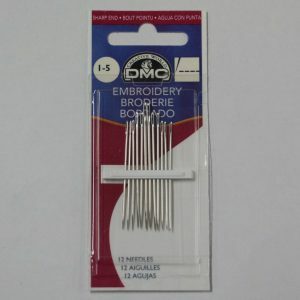 This thread is used for finer craft work. There is 120 m on a 10 g ball. Cotton Perle size 5 quality crochet/embroidery thread by DMC, 10 g balls. 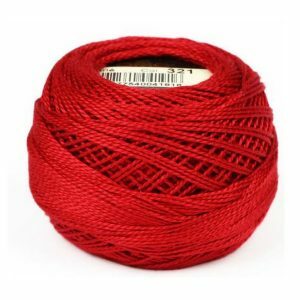 The size 5 is a relatively thick thread available is medium selection of colours. There is 45 m on a 10 g ball. 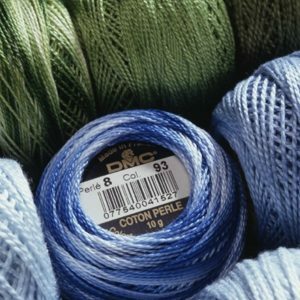 Cotton Perle size 8 quality crochet/embroidery thread by DMC, 10 g balls. The size 8 comes in a large range of colours, and is the most common size to buy in this range. The thread is of medium thickness, and easy to work with. There is 80 m on a 10 g ball.